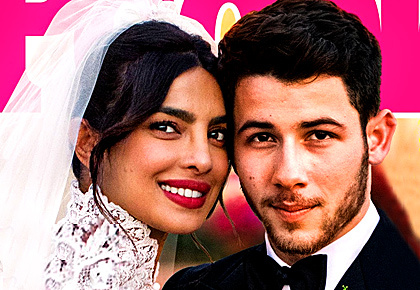 Priyanka Chopra and Nick Jonas had a five-day wedding celebration in India, and what better way to document it than with a cover. 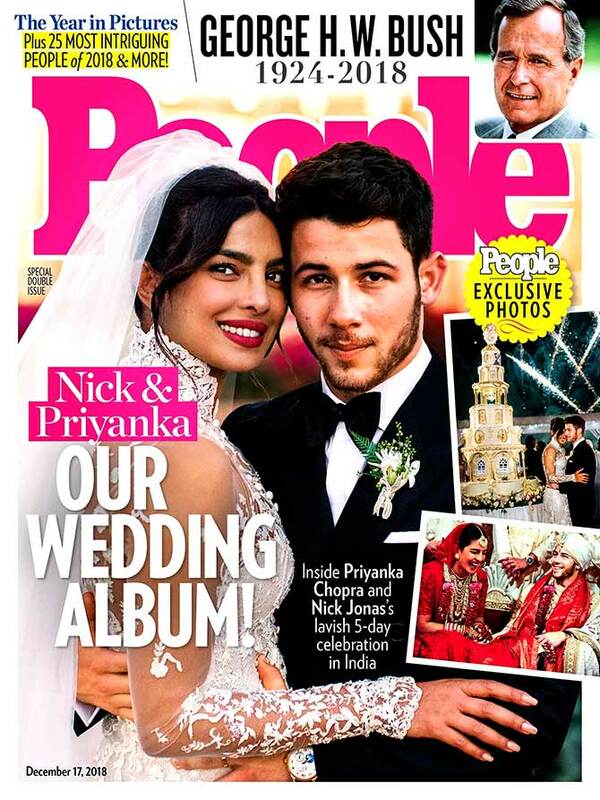 The newly-wed couple grace the cover of People magazine's special edition, which includes exclusive pics from their wedding album. Dressed in a white gown by designer Ralph Lauren, Priyanka looks absolutely stunning. For the Christian wedding which took place on December 1, the actor wore a high-neck, hand-embroidered, strapless dress embellished with sequins. The dress had lovely scalloped sleeves and satin-covered buttons. Priyanka completed her look with a sweeping 75 feet tulle veil. However, it was the embroidery which had a special message. It included eight significant words and phrases selected by the bride, including 'Family', 'Hope', 'Love', 'Compassion', 'Nicholas Jerry Jonas', '1st December 2018, 'Madhu & Ashok' and 'Om Namah Shivay'. 'Nick wore a double-breasted tuxedo with a piece of the bride's dress hand-embroidered with the Urdu words 'My Jaan' at the interior lapel of the jacket, just over his heart,' wrote the designer on his Instagram page. The bridesmaids, groomsmen, parents, flower girls and ring bearer were all dressed in Ralph Lauren as well. For the Hindu wedding, Priyanka chose a Sabyasachi red lehenga. 'Priyanka Chopra makes for a stunning bride in a custom red Sabyasachi lehenga,' wrote the Indian designer on his Instagram page. He added: 'Hand-embroidered and hand-cut organza flowers, French knots in silk floss, delicate Siam-red crystals and layer upon layer of thread work embroidery creates this piece of impossible couture. '110 embroiderers from Calcutta, India took 3720 hours to create this modern masterpiece. 'As an ode to the resplendence of Mughal jewellery, her wedding jewellery was crafted with uncut diamonds, emeralds and Japanese cultured pearls in 22 karat gold and had delicate tiny stars in uncut diamonds to give a sense of whimsy to an important traditional piece. 'Nick Jonas wears a hand-quilted silk sherwani with a hand-embroidered chikan dupatta and a chanderi tissue safa.